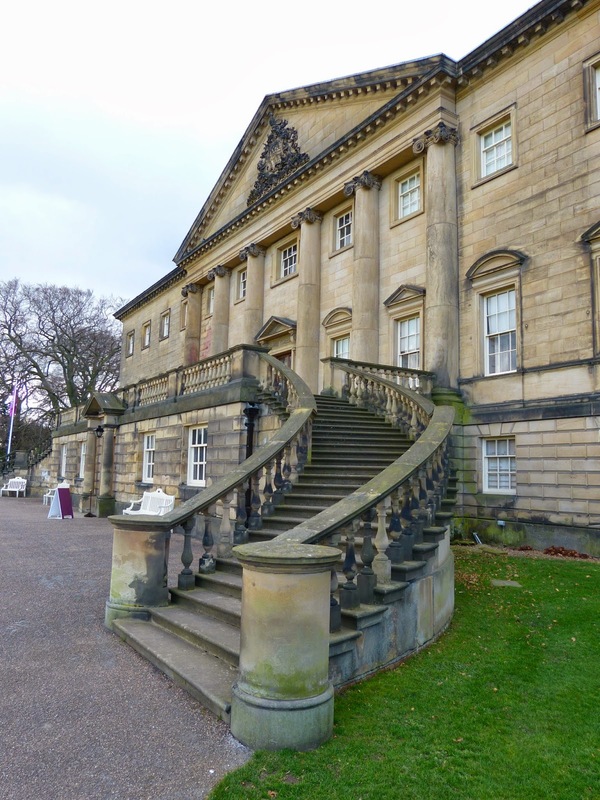 Nostell Priory is a Palladian mansion with Neo-classical interiors designed by Robert Adam. It is situated near Wakefield in Yorkshire. 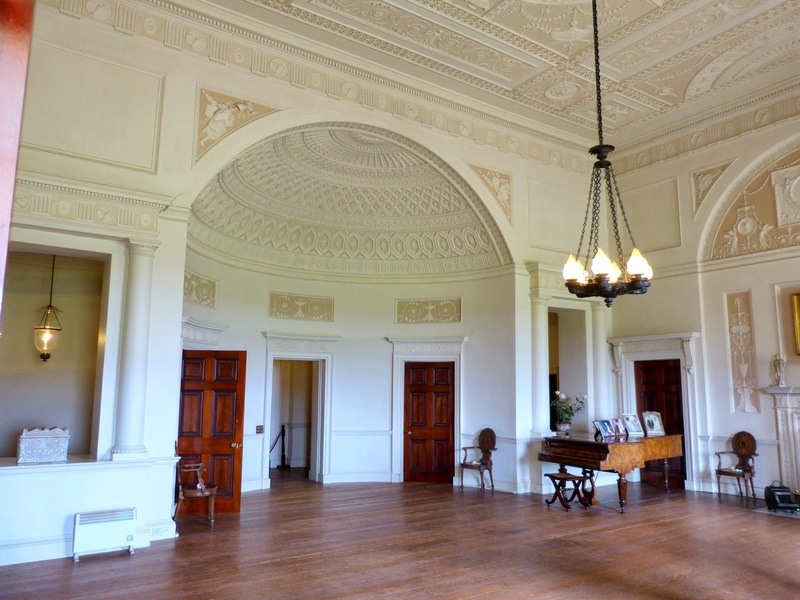 When Sir Rowland Winn, 4th Baronet, returned from his Grand Tour in 1727, he was inspired to build a new house on his land in the Palladian style. Colonel James Moyser, a local gentleman architect, drew up plans and in 1736, the young James Paine was employed to work them out. Paine was still working on the house in 1765 when the 4th Baronet died. 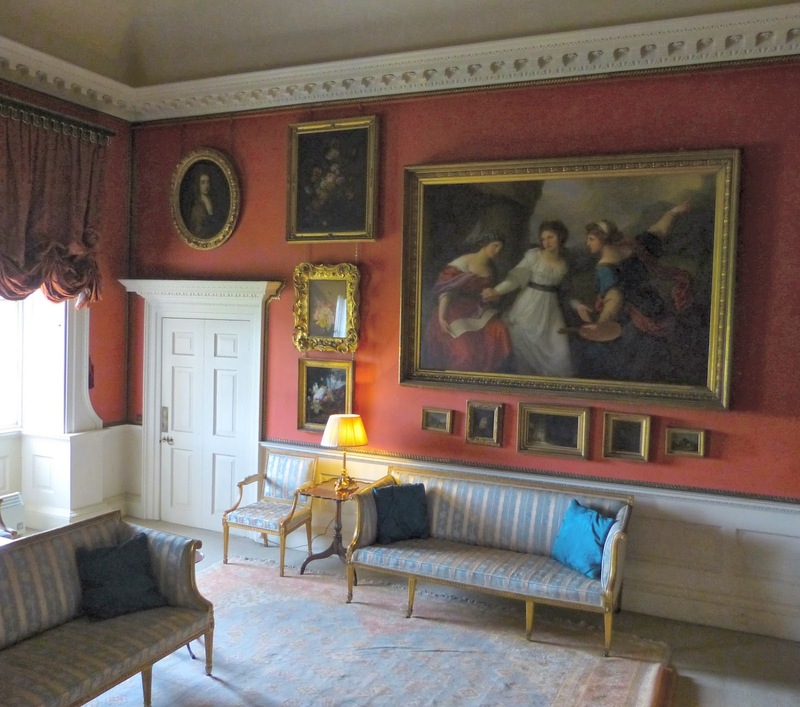 Sir Rowland’s son employed Robert Adam to continue work on the house. Adam designed the interiors of the house in the Neo-classical style and added the curving stairways at the front of the house leading to the first floor entrance hall. He also planned four new wings, but only one – the family wing - was ever built. The 5th Baronet died in 1785 before Adam’s work was completed, leaving the asymmetrical façade that we see today. 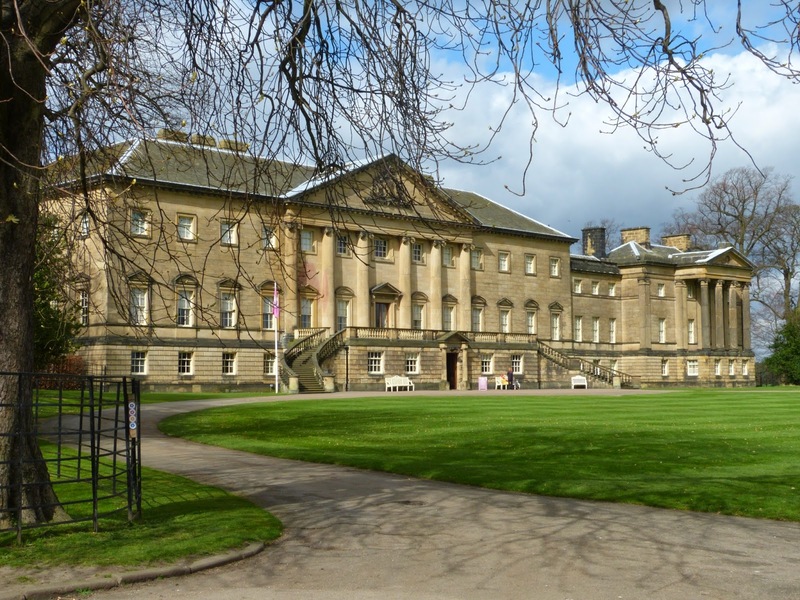 Nostell Priory was given to the National Trust in 1954. Sir Rowland Winn, 4th Baronet, inherited Nostell at the age of 16. 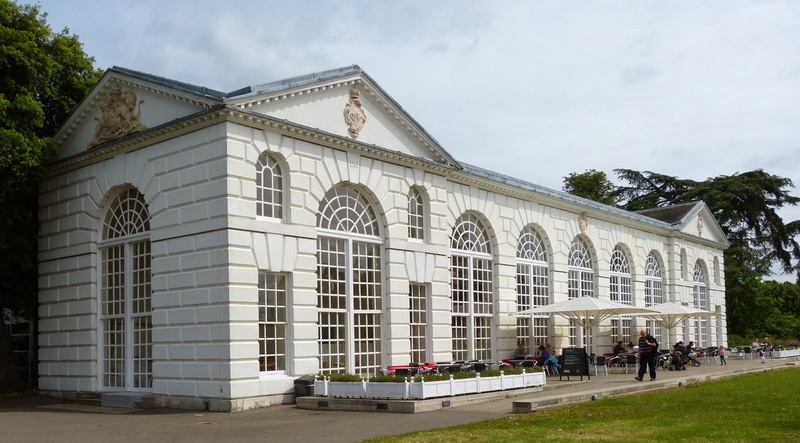 He started to build the Palladian house after returning from his Grand Tour in 1727. He married Susanna Henshaw, an heiress, in 1729, and they had three children, Rowland, Edward and Anne. Sir Rowland was made High Sheriff of Yorkshire in 1731. James Paine was employed to work on Nostell Priory on and off for thirty years. Nostell was one of his first commissions after finishing his studies at St Martin’s Lane Academy in London and it was significant in the development of his architectural career. 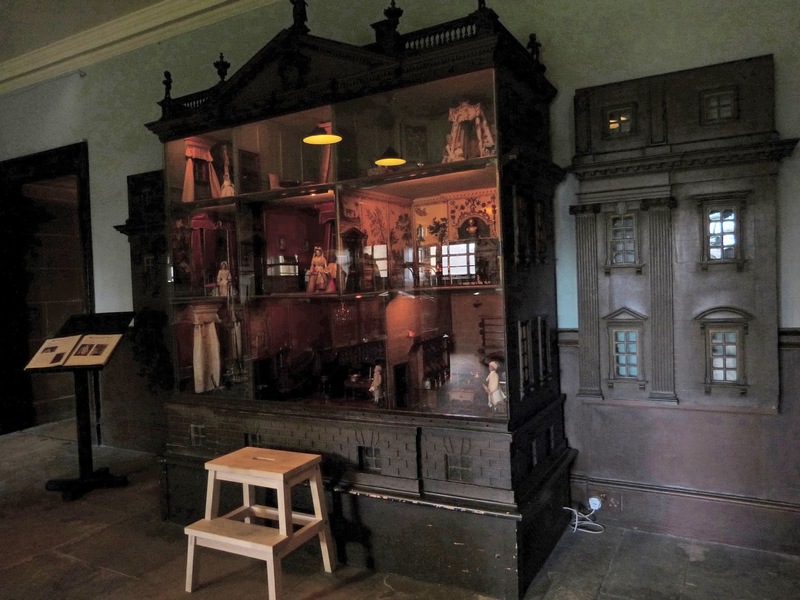 An exquisite doll’s house was made for the Winns in about 1735 which is on display in the house. The doll’s house is architecturally accurate and beautifully crafted, which has led to the family tradition that it was made by Thomas Chippendale when he was a boy. Sadly there is no evidence to support this. The model was probably made for adults to enjoy rather than as a children’s toy. The 5th Baronet was born in 1739 and finished his education in Switzerland. He spent a lot of money on horses and later built a riding school at Nostell. Whilst in Switzerland, he met Sabine d’Hervart, daughter of the Governor of Vevey, whom he married in 1761. 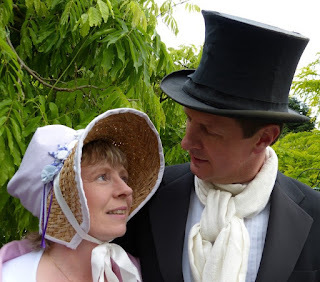 The couple were devoted to each other and had two children, Rowland and Esther. 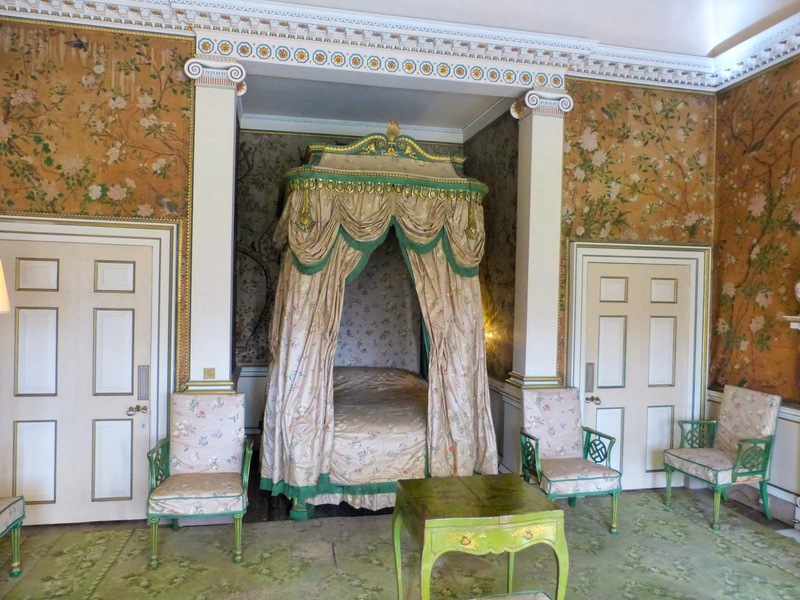 After inheriting in 1765, Rowland replaced Paine with Robert Adam to finish work on the house. 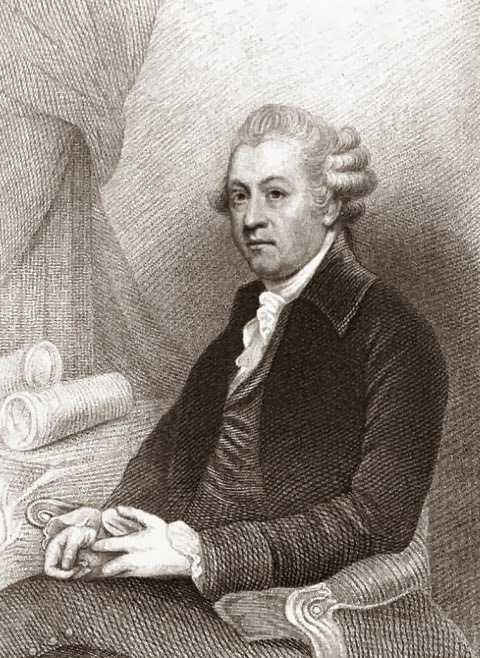 Robert Adam was the most successful architect of the late 18th century. He was good at cultivating important contacts and had a much closer relationship with his employers than his predecessors had done. 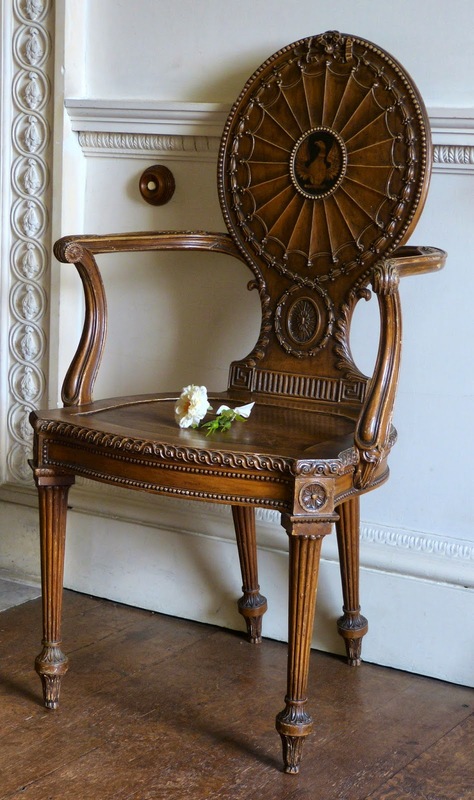 Adam designed Neo-classical interiors for the house and employed a trio of master craftsmen to help him: Antonio Zucchi for decorative painting, Joseph Rose the Younger for plastering and Thomas Chippendale for cabinet making. 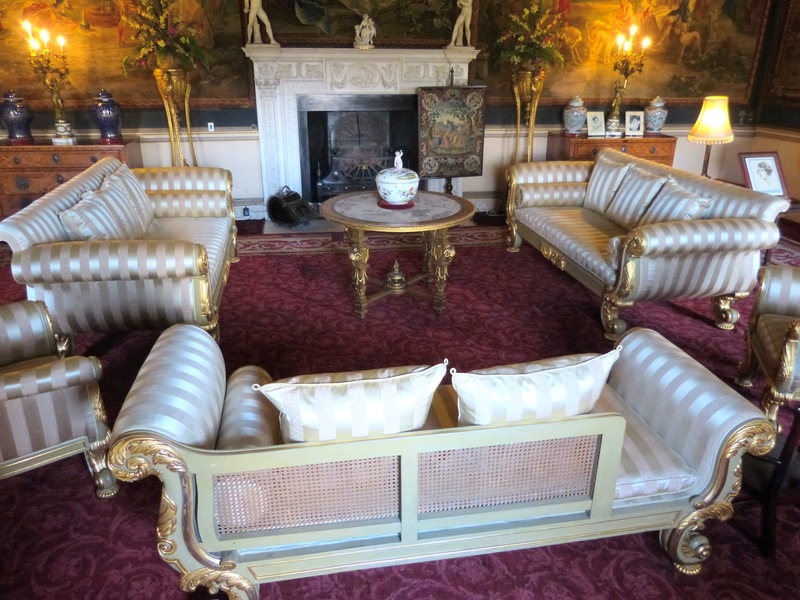 As a result, Nostell Priory has a huge collection of Chippendale furniture, complete with bills of sale to verify its authenticity and date his work, as well as stunning interior decorations. Adam’s work was brought to an abrupt end when Sir Rowland was killed in a carriage accident in 1785 . Sir Rowland’s wife Sabine was devastated at her husband’s death. She continued to live at Nostell with her two children, Esther and Sir Rowland, 6th Baronet, who was only ten when his father died. The new Sir Rowland became an avid sportsman and kept several racehorses in the stables at Nostell. He was made High Sheriff of Yorkshire in 1799 but died unmarried in 1805. The title died with the 6th Baronet, but Sir Rowland provided for his sister’s children, John, Charles and Louisa Williamson, whose father was a Manchester baker. They assumed the name Winn and became heirs to the estate. John died in Rome in 1817 whilst on the Grand Tour. 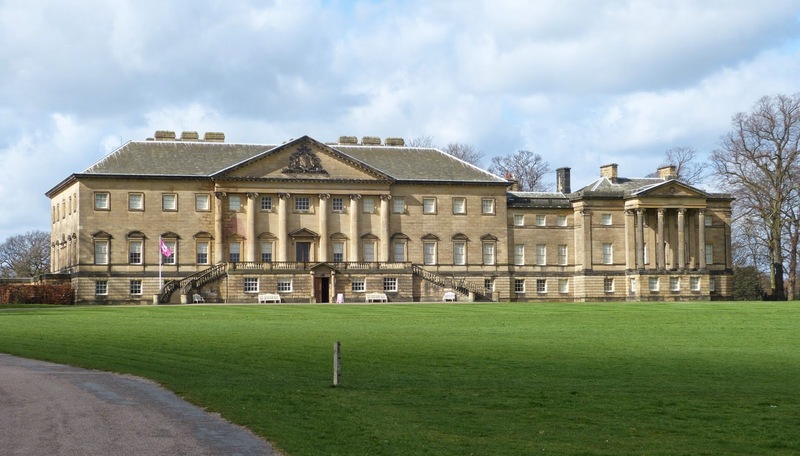 Charles married his cousin Priscilla Strickland in 1819 and employed Thomas Ward to redecorate Nostell. 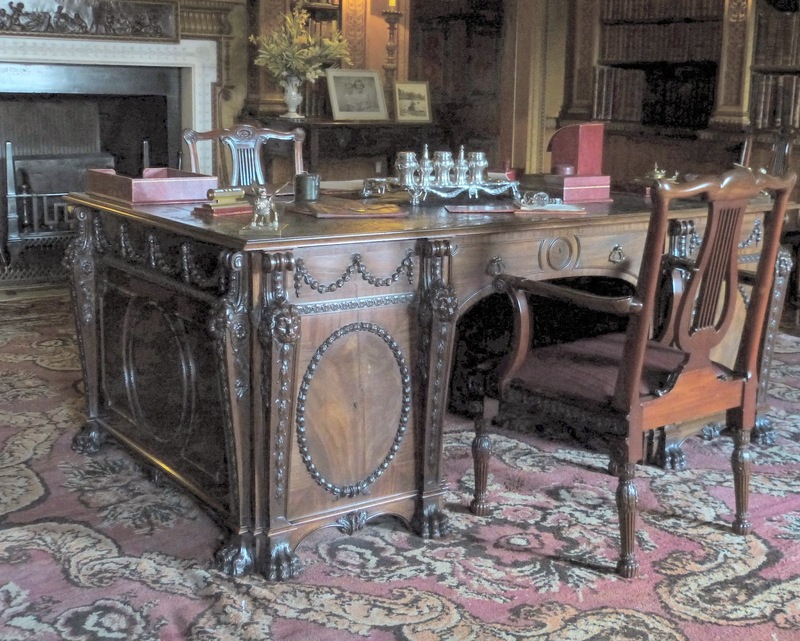 Charles bought lots of furniture from Gillows and became an avid collector. 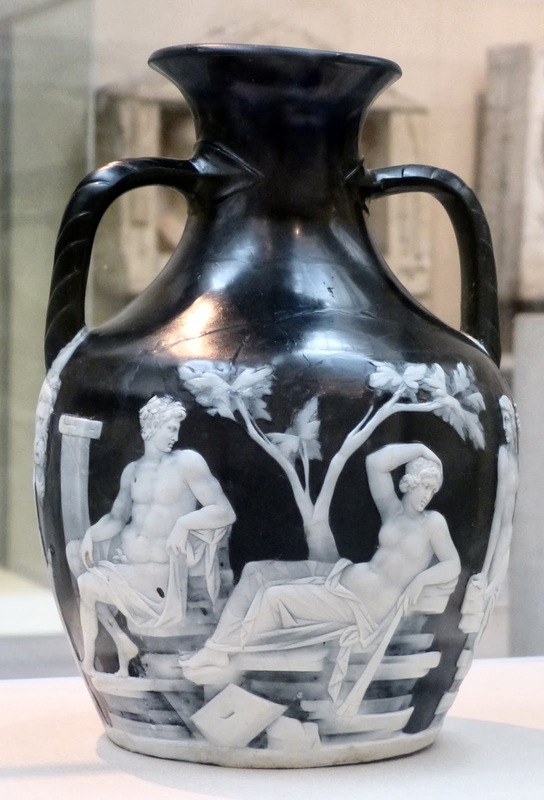 He brought back his brother John’s collection of Etruscan vases from Rome and acquired vast numbers of paintings, books and antiquities. 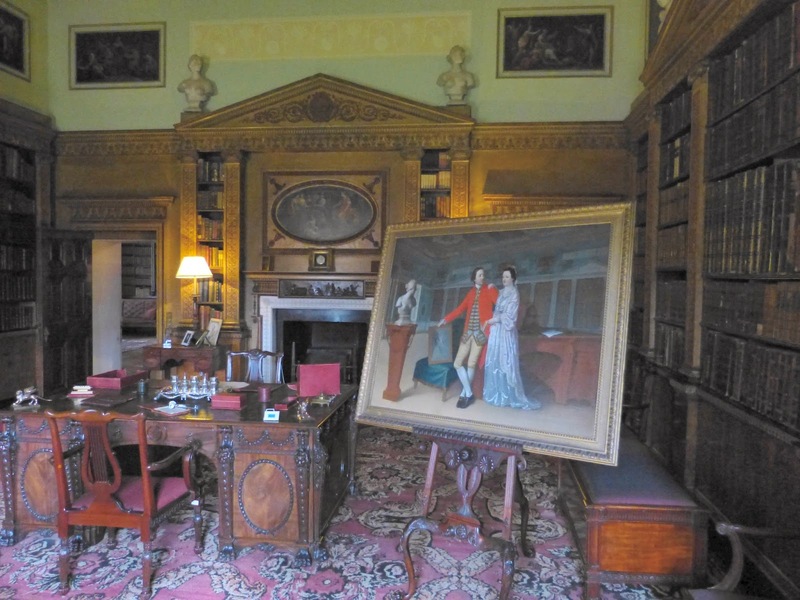 "Angelica hesitating between the Arts of Music and Painting"
More gems about Nostell Priory on my April newsletter. The Royal Academy of Arts was founded on 10 December 1768 when George III gave his personal approval to a document proposing its creation. The Instrument of Foundation listed the names of the 34 founder members including Joshua Reynolds, Benjamin West, Thomas Gainsborough, Paul Sandby, Thomas Sandby, Angelica Kauffman, Mary Moser and William Chambers. William Hoare and Johann Zoffany were added to the list by the King and known as nominated members rather than founder members. Joshua Reynolds was appointed the first President of the Royal Academy and gave his inaugural speech on 2 January 1769. 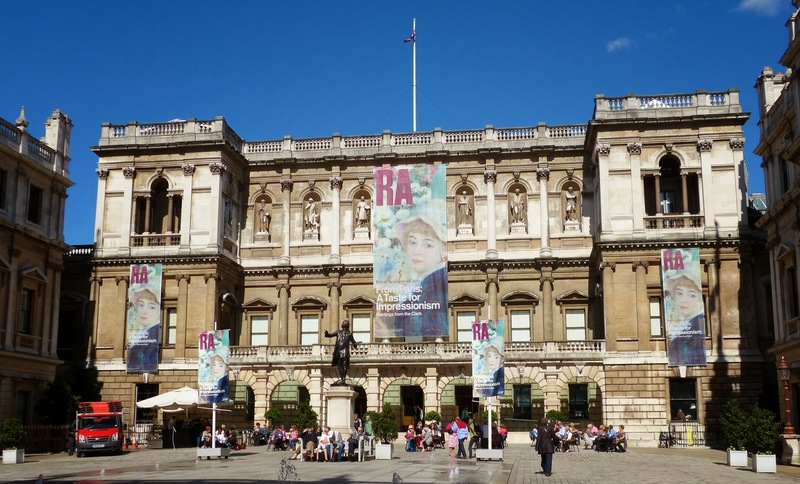 The purpose of the Royal Academy was to establish the professionalism of British art through education and exhibition. Membership was initially limited to a maximum of forty, with new members being elected by current members. Associate membership was introduced in 1769, providing a means of preselecting artists suitable for election to Academy membership when a vacancy should arise. The Royal Academy was the first body to provide professional art training in Britain, where artists could come and learn from the best in their profession. In its first year, over 70 students were enrolled. Its famous pupils included J. M. W. Turner, John Soane, Thomas Rowlandson, William Blake, Thomas Lawrence, John Constable, George Hayter and David Wilkie. Royal Academy professors gave lectures to students. During his presidency, Sir Joshua Reynolds gave 15 lectures on art known as Discourses. 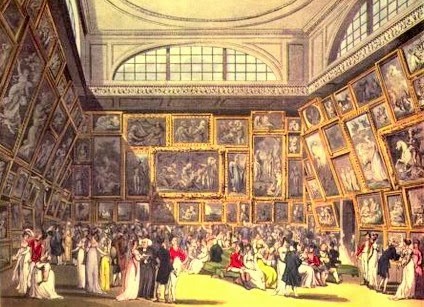 The first Royal Academy exhibition ran from 25 April to 27 May 1769 with a display of over 130 works of art. George III visited the exhibition on 25 May. There has been a summer exhibition of the Royal Academy every year since. 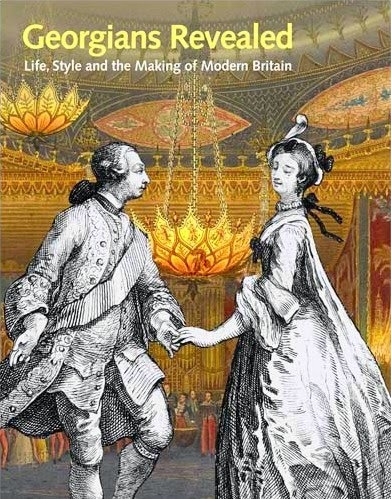 The annual dinner of the Royal Academy was introduced by Sir Joshua Reynolds on 23 April 1771. 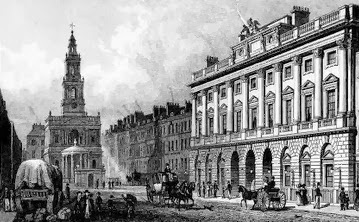 The Royal Academy initially met in Pall Mall, but moved to part of Old Somerset House in 1771 and then to New Somerset House in 1780, a building which had been designed by William Chambers, one of the founding members and the Academy’s first treasurer. 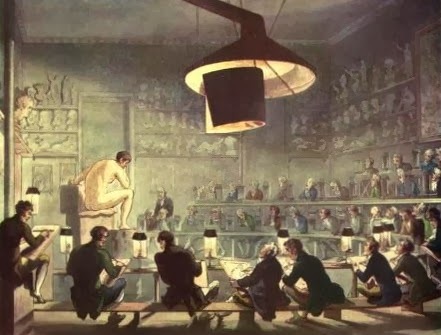 In 1838, the Academy moved into part of the National Gallery in Trafalgar Square where it remained for thirty years before moving into its current home in Burlington House, Piccadilly, in 1868. 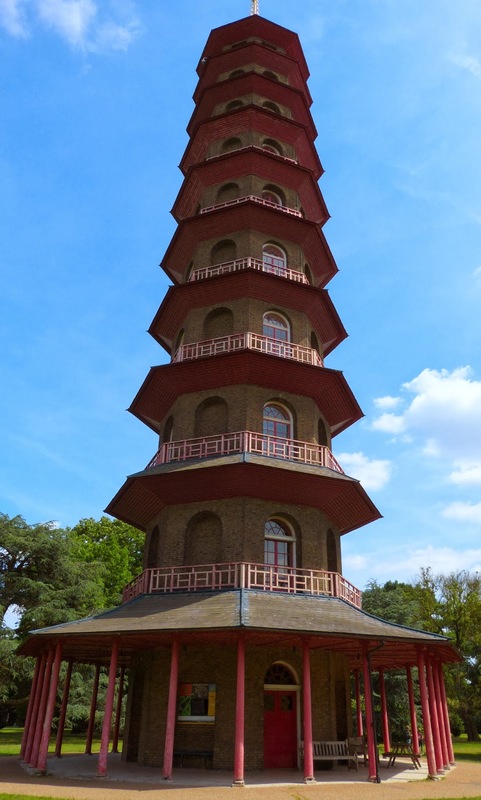 The Royal Botanic Gardens, Kew, often referred to as Kew Gardens, are in Kew in the London Borough of Richmond upon Thames. 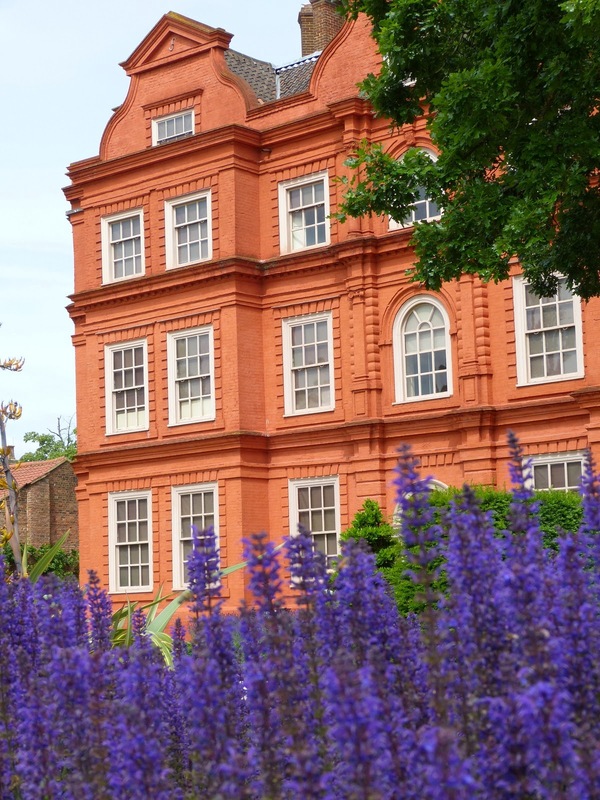 Kew Palace is situated within the gardens. Amongst the Georgian royals there were a number of keen gardeners: Queen Caroline; her son Prince Frederick and his wife Princess Augusta; and their son George III’s wife, Queen Charlotte. Queen Caroline developed the gardens around Richmond Lodge whilst Prince Frederick developed the gardens at Kew. After Prince Frederick’s death, Princess Augusta continued to follow her husband’s plans for the gardens. In 1759, she employed William Aiton to develop her botanical garden and this is considered to be the foundation of the Royal Botanic Gardens, Kew. The Royal Botanic Gardens at Kew now include both of these royal estates – Richmond Gardens and Kew Gardens, separated by Love Lane. They were combined into one estate by George III who inherited Richmond from his grandfather in 1760 and Kew Gardens from his mother in 1772. The botanic gardens were given to the state in 1841 and further land was donated in subsequent years. The gardens now cover over 300 acres of land and serve as both a scientific institution and a public park. The future George II and Queen Caroline started using Richmond Lodge as their summer residence in 1719. The gardens included a number of exotic plants and trees including orange trees, pomegranates, nut trees, myrtles and bay trees. 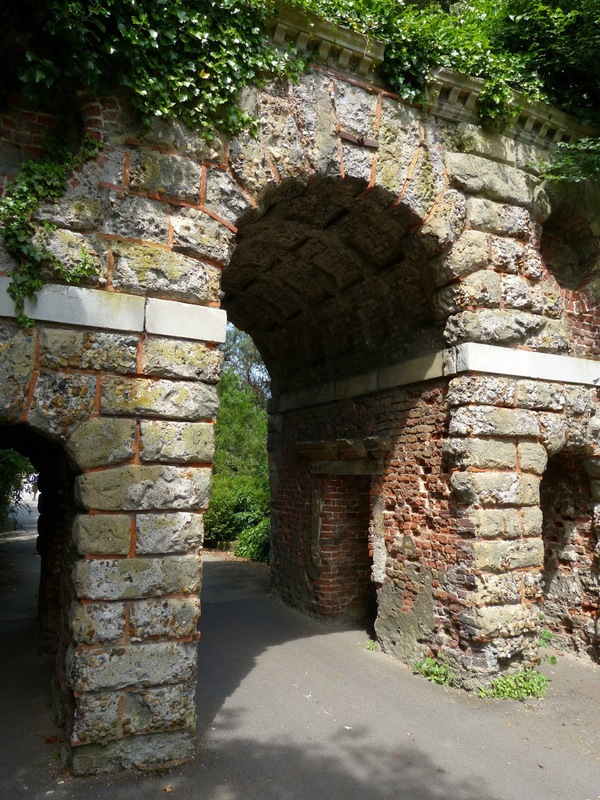 Caroline consulted Alexander Pope and commissioned William Kent to build various buildings in the grounds including a new pavilion at Richmond, a Gothic Hermitage and Merlin’s Cave. George II’s son Frederick and his wife Augusta lived a short distance away at Kew. 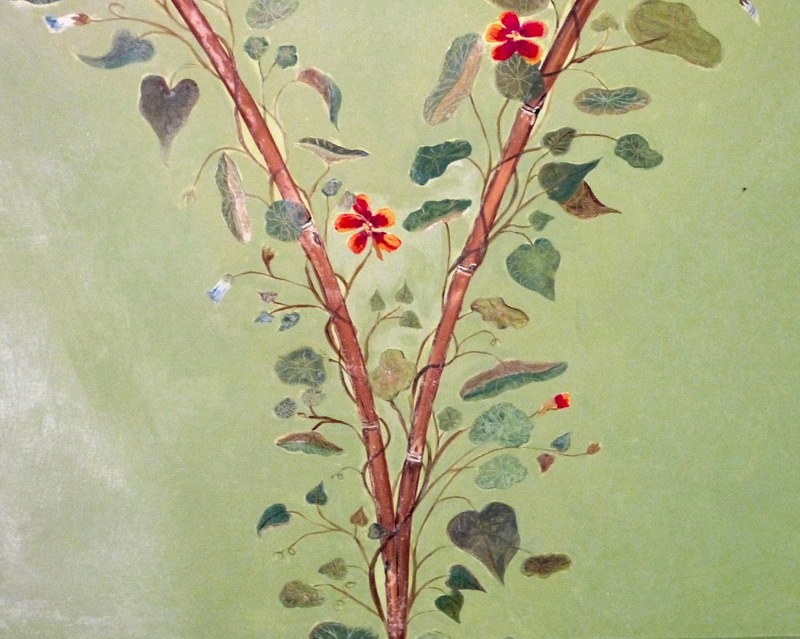 Frederick had a passion for botany and with the help of Lord Bute, he started to collect exotic plants and trees. 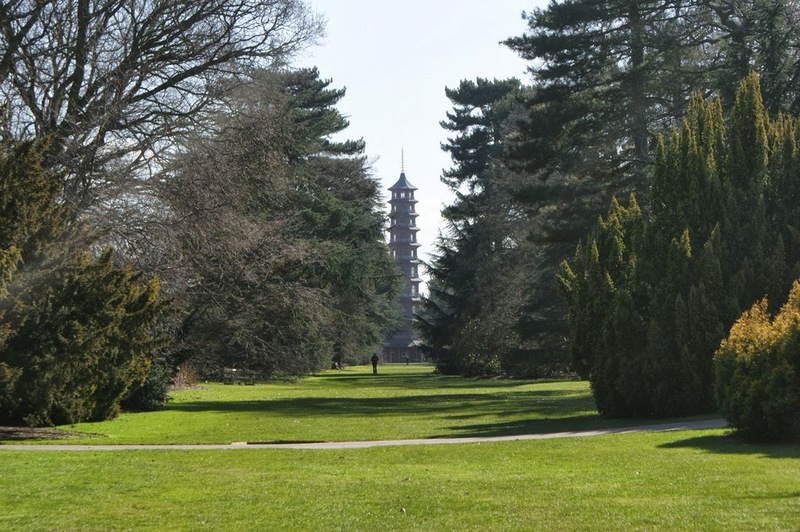 After Frederick’s death in 1751, Augusta continued to develop her husband’s plant collection, using about 9 acres of the Kew estate as a botanical garden. Augusta continued to accept Lord Bute’s support and appointed William Aiton as her head gardener. 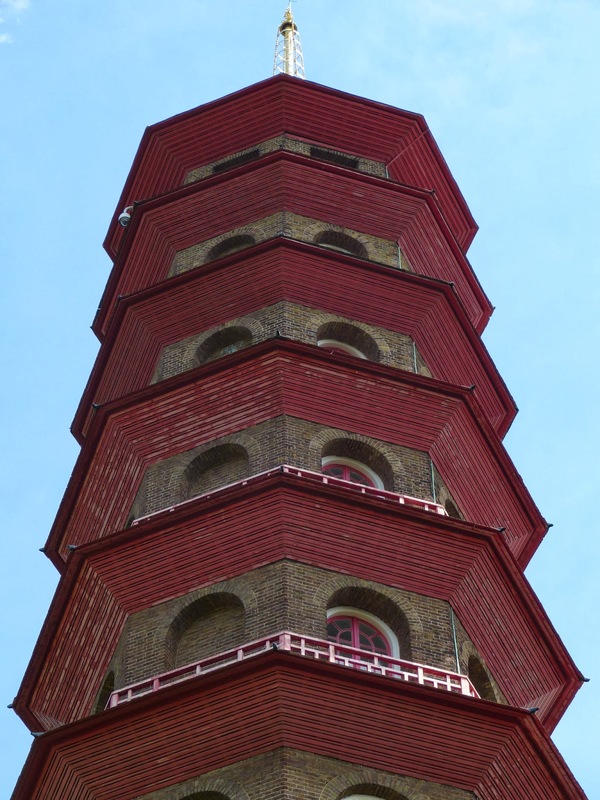 She commissioned Sir William Chambers to design various buildings around the estate including the Pagoda, the Ruined Arch and the Orangery. George III and Queen Charlotte used Richmond Lodge and then the White House at Kew as their country retreat. Queen Charlotte shared her mother-in-law’s love of botany and continued to develop the gardens. Sir Joseph Banks often visited and brought a collection of over 1000 new seeds and plants from the South Seas. Sir Joseph was the unofficial director of Kew and ensured that the study of plants at Kew was done scientifically. Aiton started to create a catalogue of all the plants being introduced, the Hortus Kewensis (1789). Franz Bauer became the resident artist at Kew and taught botanical drawing to the princesses. 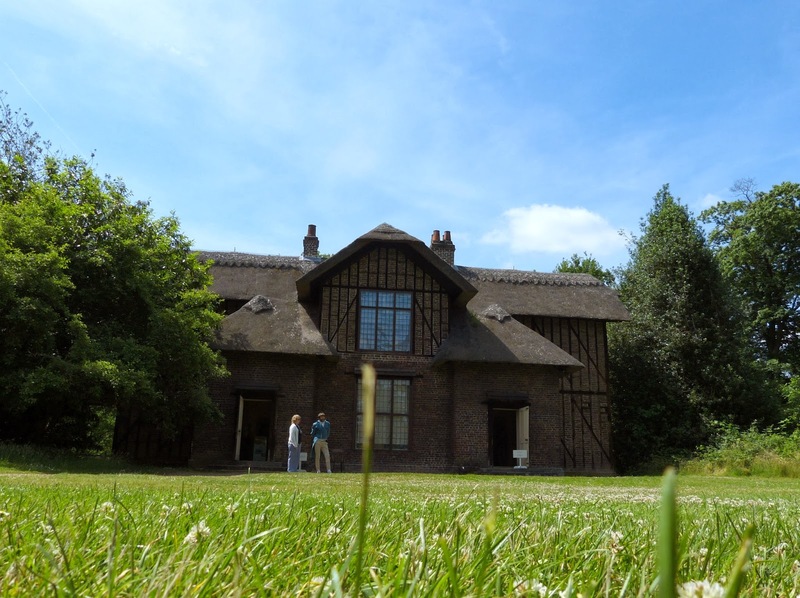 If you enjoyed this article, you might also like my guides to Queen Charlotte's Cottage and Kew Palace. 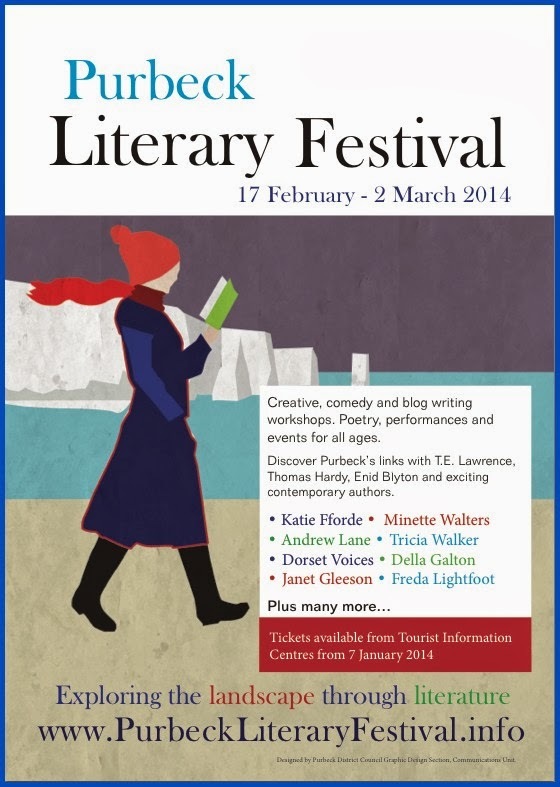 On Friday 28 February, I ran a blogging workshop in the village hall in Corfe Castle in Dorset as part of the Purbeck Literary Festival. Sadly, I could not appreciate the majestic surroundings very well as it was pouring with rain, but this did not dampen the enthusiasm of the workshop participants, who all came eager to learn about the mysterious world of blogging. So what did we cover? Here is a brief summary of some of the issues we looked at. A blog is a web journal or series of posts on a theme, usually presented with the most recent entry first. It generally has the option for people to comment about what you have written. A blog can be about anything. 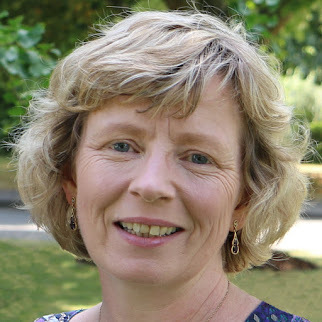 It might be the record of your adventures in parenting, a series of book reviews or, like mine, articles about a niche subject like Regency history. 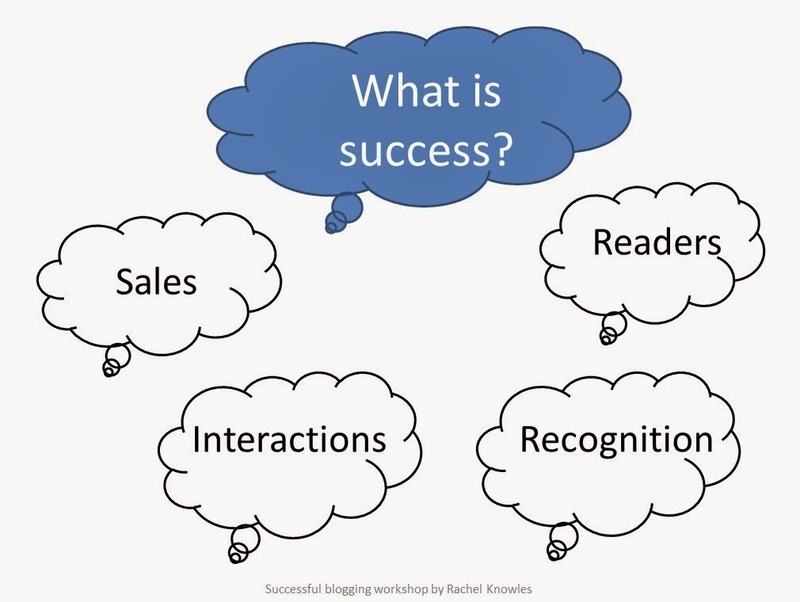 To determine whether your blog is successful, you need to know why you are blogging. It might be to promote your business or book, to share your expertise and build your online reputation or simply to air your views to the world. To achieve any of these aims, you need readers. But you might also be looking to see additional traffic to your website and an increase in sales. Or you might be more interested in the number of readers who interact with your posts rather than just scanning what you have written. Or perhaps your aim is for your posts to rank on the first page of results when someone searches for something you’ve written about. Only when you know what you are trying to achieve will you be able to judge whether or not you are successful. 1. Blog regularly. It is better to blog once a fortnight and keep it up rather than trying to blog every day and giving up after a few weeks. 2. Use pictures. Try to include at least one good quality picture in every blog post. 3. Keep the line length short. Don’t be tempted to make your blog the width of the screen. It is much easier to read text if the column width is narrower. About 70 or 80 characters is reckoned to be the ideal length. 4. Keep your paragraphs short. Again, it is much easier to read text on a screen if it broken up into small chunks with white space in between. 5. Promote your blog with social media. Use Twitter, Google+, Facebook etc to link to your blog posts. 6. Always keep a back-up copy of your blog. You never know when your account might be hacked or your blogging platform might let you down. 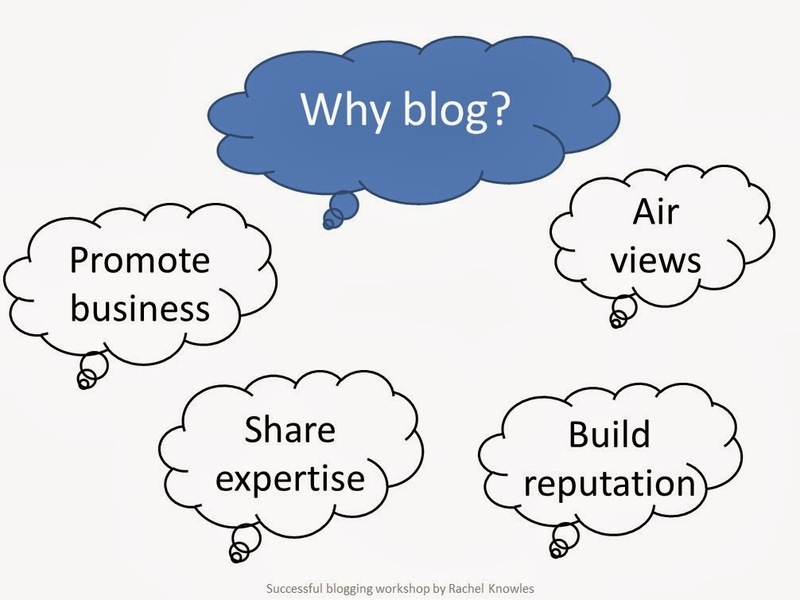 If you have a blogging tip to share, please leave a comment. 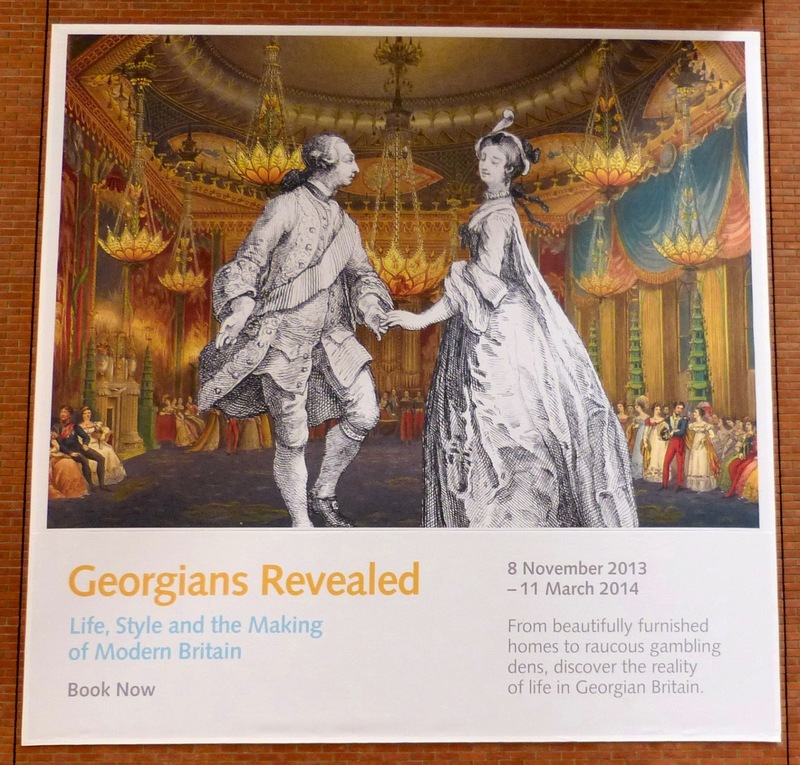 Georgians Revealed: Life, Style and the Making of Modern Britain is an excellent little exhibition at the British Library in London. But if you want to see it, you will have to hurry as it closes next week on 11 March. The exhibition displays a variety of artefacts from the Georgian era illustrating the themes of public places, private spaces; buying luxury, acquiring style; and pleasures of society, virtues of culture. As well as the displays, there are several monitors giving additional commentary on some of the subjects that the exhibition touches upon. There is also a room with a Georgian map of London printed on the floor with wall displays highlighting various places around the city. One of my favourite exhibits was of some letters written by Jane Austen and Fanny Burney, side by side. Jane was clearly trying to get every word that she could onto a single page. In one place, her tiny writing was very cramped. On the other hand, Fanny’s writing was much more spread out, perhaps suggesting that the cost of sending more than one sheet was immaterial to her. 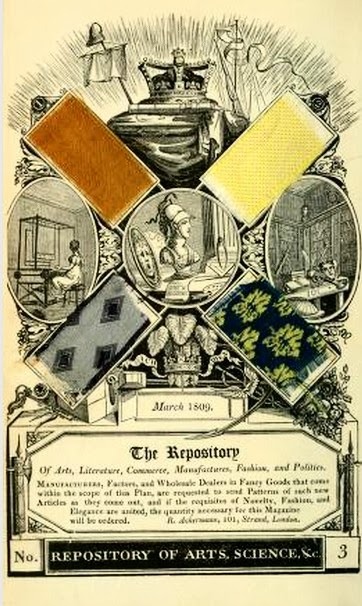 The content of some of the publications on display was very familiar to me – such as Ackermann’s Microcosm of London – but seeing the physical books showed me something that the internet fails to: the actual size of these volumes. There were huge books of botanical drawings as well as tiny copies of children’s books. The only problem was that my fingers were itching to turn the pages and see the whole book, not just the page that was open for display. It was also nice to see real samples of material on the pages of Ackermann’s Repository. Who was the 16th child? The opening area of the exhibition presents visitors with a timeline alongside pictures of the four Georgian kings with a display board about each one. I was somewhat surprised to find that George III and Queen Charlotte were listed as having 16 children. I only know of 15 – nine sons and six daughters. Did the British Library know something that I didn’t know or had they got it wrong? I came home and double-checked. I did find one website that claimed that George had ten sons and six daughters but every other site I looked at, including the official British Monarchy website, referred to George’s 15 children. Georgians Revealed provides an excellent record of the exhibition. The book is full of illustrations and includes most of the exhibits that I want to remember. You won’t find every exhibit in it. 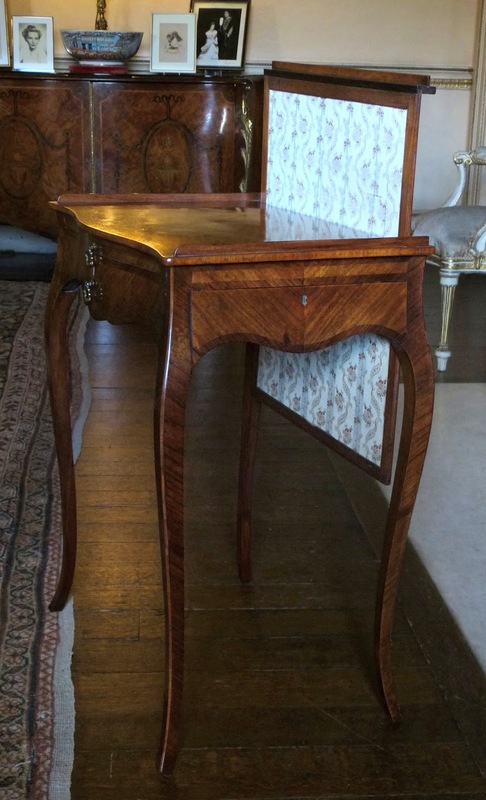 Sadly, there is no picture of the letters of Jane Austen and Fanny Burney or of the trunkful of letters left behind by Scrope Davies when he fled the country to escape his creditors. But you will find pictures of the tiny set of children’s books mentioned above and a masquerade mask as well as dozens of prints by various artists, including Cruikshank, Rowlandson and Gillray. As the exhibition closes soon, both the hardback and paperback versions have been reduced to half price. You can buy them in the British Library shop at the exhibition or online.